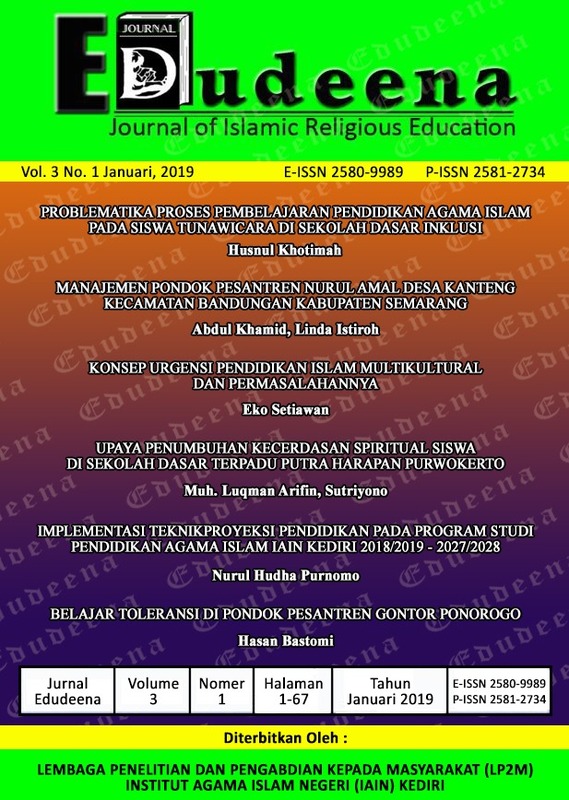 Edudeena journal (E-ISSN: 2580-9989, P-ISSN: 2581-2734) is a scientific periodical publication that be managed by the Islamic religious education department (PAI), the faculty of tarbiyah and the science of teaching, State Islamic Institute of Religion (IAIN) Kediri. the scope of Edudeena journal is the thought and learning of Islamic religious education which includes curriculum, teaching strategies, management, and Islamic religious education thought. We invite the lectures, researches, collegians, experts of Islamic education that are interested in publishing their writing. The writings that are sent should be in original script and never been published before.